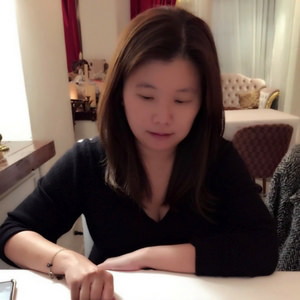 統一時代百貨美食街與京站陸續新開幕沖繩琉球通堂拉麵, 主打為男人麵 (男味)與女人麵 (女味) . 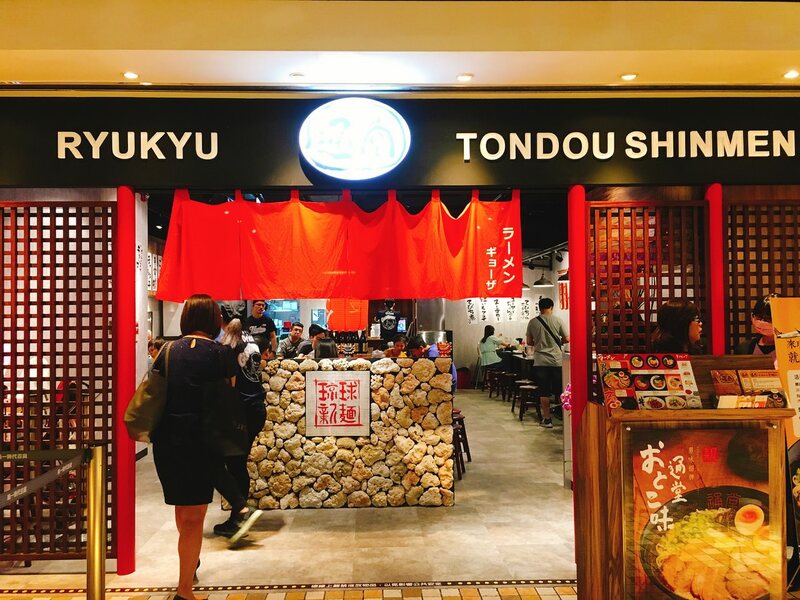 TONDOU Ramen, one of the famous Japanese Ramen restaurants, opened its 1st branch at Xinyi Uni-style Mall Food Court. 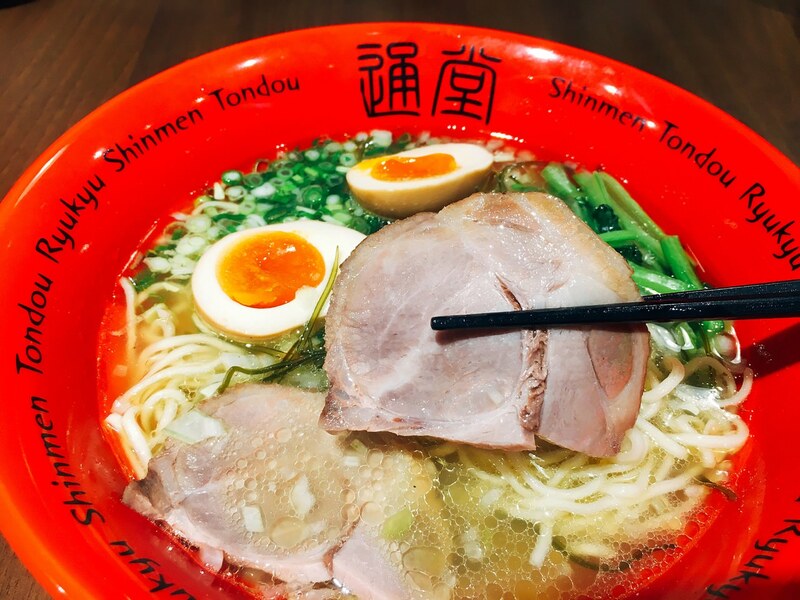 Two famous ramen is pork broth base and chicken broth base. 我在2017年4月有寫過 “沖繩琉球通堂拉麵快閃店”, 當時社長全程都在台灣推廣品牌, 當初我在快閃店吃的是男人麵 (豚骨湯底), 文末可看到社長辛苦準備拉麵的影片, 快閃店和店面不同的地方為有免費的豆芽和丼飯, 這次我點的是女人麵. 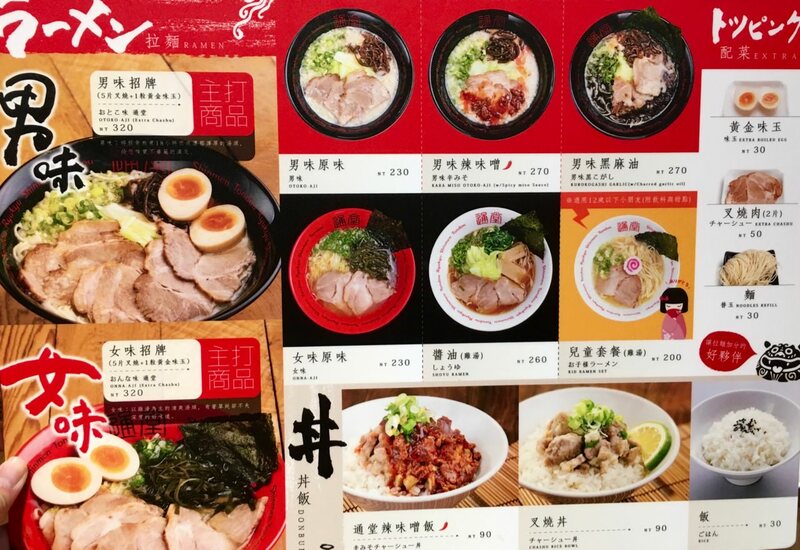 I wrote about “TONDOU Ramen Pop-Up store article” back at April, 2017. 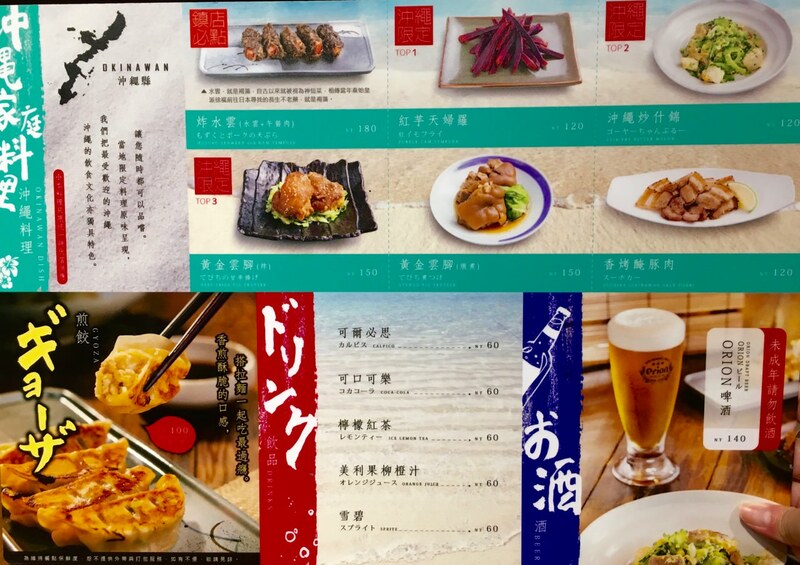 Their executive chef/boss assisted promoting the brand. Back then, I ordered pork broth ramen. 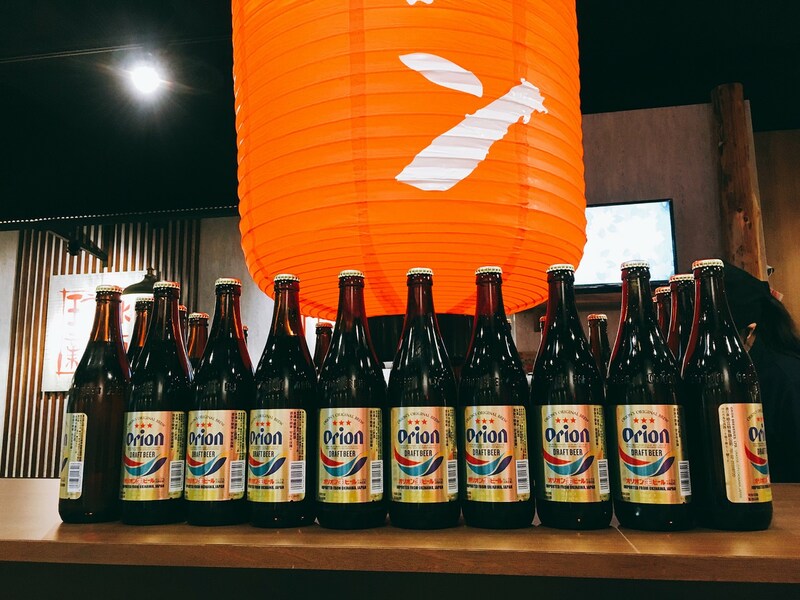 There is a video at the end of article to show how the executive chef works on their ramen. 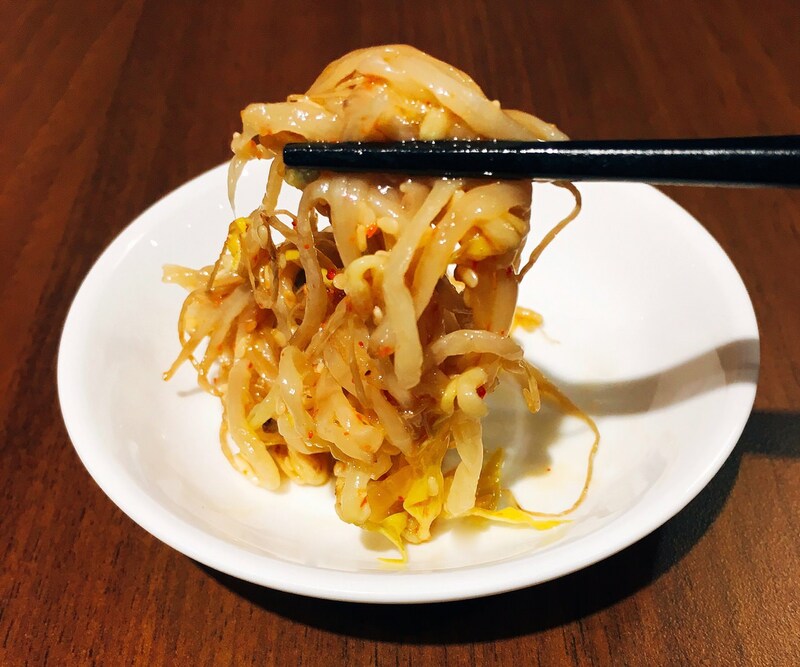 The difference between pop-up store and the restaurant would be its free bean sprout and rice bowl. This time, I ordered Chicken Broth Ramen. “沖繩琉球通堂拉麵”的女味招牌 (NTD $320) 有五大片叉燒跟一顆黃金味玉, 但是我點的女味原味 (NTD $230), 只有三大片叉燒, 我另外再點一顆黃金味玉 (NTD $30). 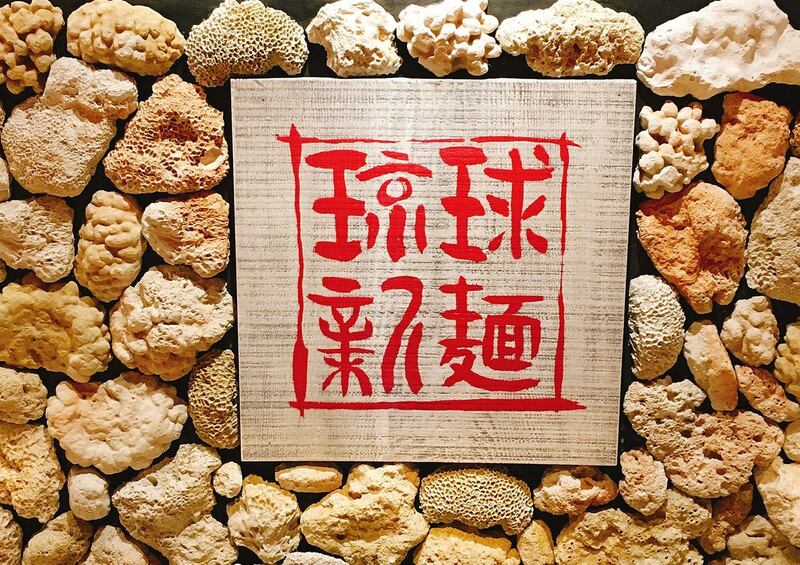 此款拉麵湯頭是雞湯再加上沖繩最知名的海鹽, 湯的色澤類似“麵屋真登”, 而非像 “雞二拉麵”濃郁黃色色澤, 香醇雞湯風味並不會過鹹, 表現並不會驚豔. 麵的口感跟之前在快閃店吃到的不一樣, 這次細麵的口感有點過軟, 這次叉燒的部分則是跟“東京油組総本店”類似, 有點過乾且吸汁不足, “沖繩琉球通堂拉麵”迷人滑嫩的蛋黃跟“Okaeriお帰り你回來啦吃碗拉麵吧”一樣出色. 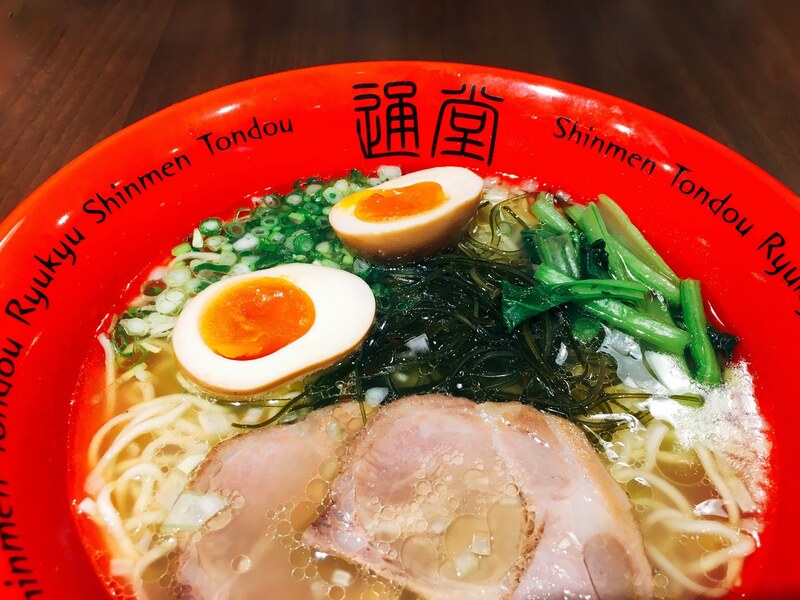 TONDOU’s Chicken Broth Signature Ramen (NTD $320) has 5 pcs sliced pork and one half-boiled egg. 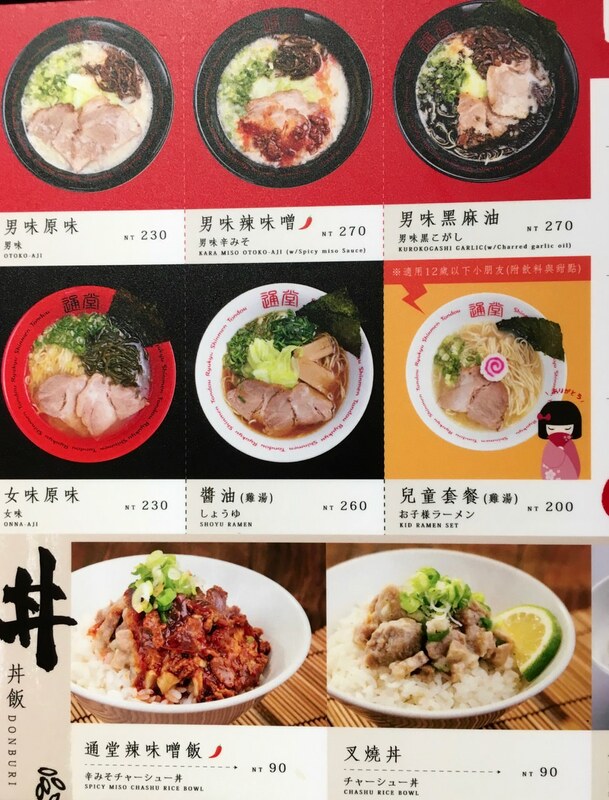 But, since I order Chicken Broth Original Ramen (NTD $230), it only has 3 pieces sliced porks. I ordered half-boiled egg for extra NTD $30. Their chicken broth is added with Okinawa sea salt. 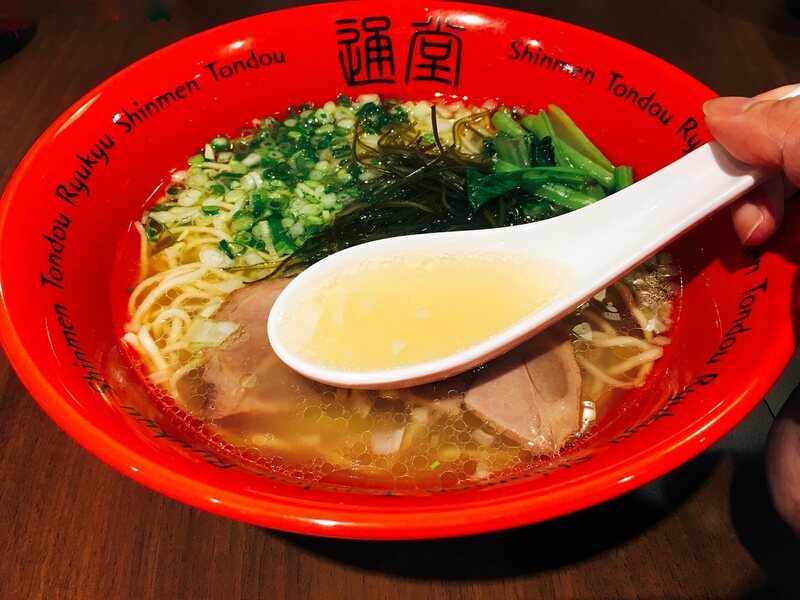 The color of the broth is similar with “MENYA MASATO Ramen” instead of “G2 Ramen”. Generally speaking, the broth only has medium amount of saltness but tastes only average. The noodle taste is soft instead of hard like before. 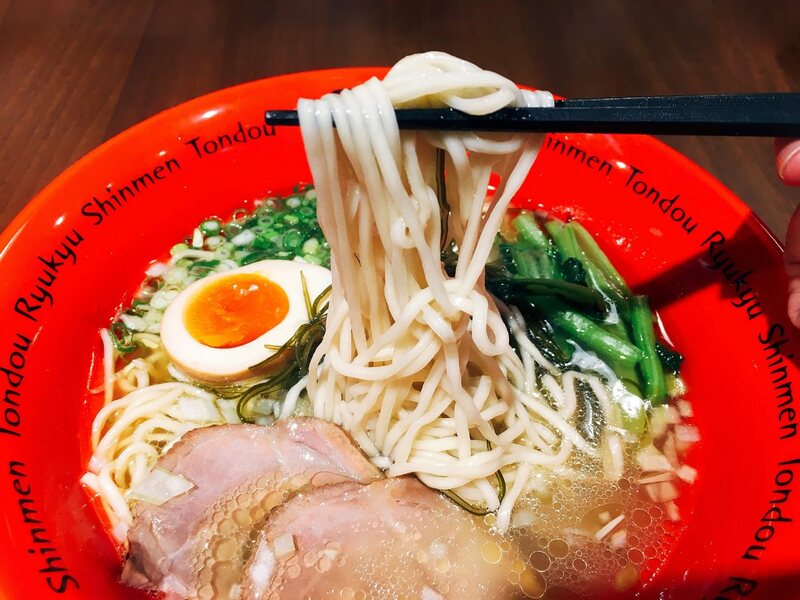 The sliced pork’s texture is similar with “ABURA SOBA TOKYO”, which is a bit dry and not absorb enough chicken broth. The half-boiled egg tasted as good as Okaeri Ramen. 若是你問我點豚骨還是雞湯比較好, 就這次的經驗, 我不太確定他們的豚骨湯頭目前的水準, 我只能先建議先不要點招牌系列, 而是點原味系列. If you ask me which broth to order, honestly, I am not sure about their pork broth quality now. The only suggestion that I can offer is to order “original series” instead of “signature series”.